To get started click here or send an email to Rob Sanger, Manager of Training Services at rsanger@cmta.net. The ETP is a pay-for-performance training contract ¬ this means that in order to receive your training reimbursement you must complete the required training and also follow the ETP’s policies and regulations. 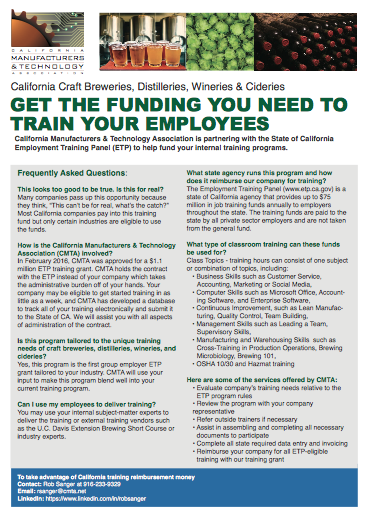 CMTA allows you to concentrate on the training while we coordinate ETP-related administrative activities.